October 25, 2016 – NASA’s Juno spacecraft has exited safe mode and successfully completed a minor burn of its thruster engines in preparation for its next close flyby of Jupiter. Mission controllers commanded Juno to exit safe mode Monday, October 24, with confirmation of safe mode exit received on the ground at 11:05 a.m. MDT (1:05 p.m. EDT). The spacecraft entered safe mode on October 18 when a software performance monitor induced a reboot of the spacecraft’s onboard computer. The team is still investigating the cause of the reboot. Due to the transition into safe mode, all instruments were off, and the planned science data collection for the October 19 flyby of Jupiter (perijove 2), did not occur. Mission managers are continuing to study an unrelated issue with the performance of a pair of valves that are part of the spacecraft’s propulsion system. In preparation for that close flyby of Jupiter, Juno executed an orbital trim maneuver Tuesday at 12:51 p.m. MDT (2:51 p.m. EDT) using its smaller thrusters. The burn, which lasted just over 31 minutes, changed Juno’s orbital velocity by about 5.8 mph (2.6 meters per second) and consumed about 8 pounds (3.6 kilograms) of propellant. Juno will perform its next science flyby of Jupiter on December 11, with time of closest approach to the gas giant occurring at 10:03 a.m. MDT (12:03 p.m. EDT). The complete suite of Juno’s science instruments, as well as the JunoCam imager, will be collecting data during the upcoming flyby. The Juno spacecraft launched on August 5, 2011, from Cape Canaveral, Florida, and arrived at Jupiter on July 4, 2016. During its mission of exploration, Juno soars low over the planet’s cloud tops — as close as about 2,600 miles (4,100 kilometers). During these flybys, Juno probes beneath the obscuring cloud cover of Jupiter and studies its auroras to learn more about the planet’s origins, structure, atmosphere and magnetosphere. JPL manages the Juno mission for the principal investigator, Scott Bolton, of Southwest Research Institute in San Antonio. 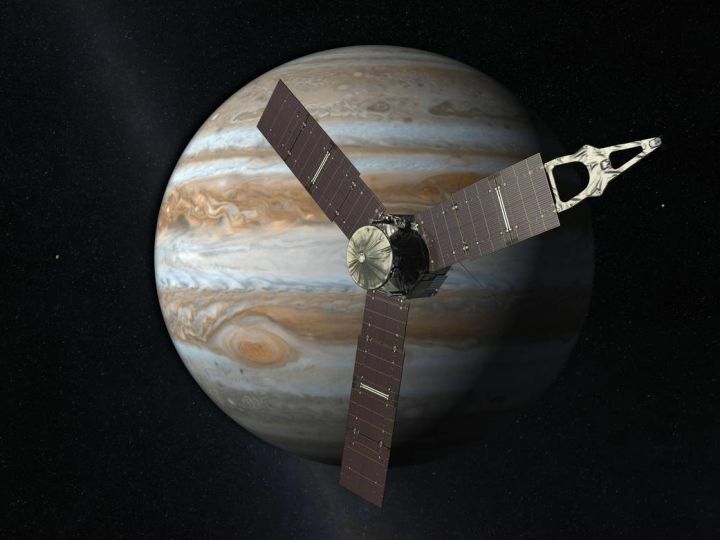 Juno is part of NASA’s New Frontiers Program, which is managed at NASA’s Marshall Space Flight Center in Huntsville, Alabama, for NASA’s Science Mission Directorate. Lockheed Martin Space Systems, Denver, built the spacecraft. Caltech in Pasadena, California, manages JPL for NASA.